With any kind of Brexit, there are no winners. But the UK will be the biggest loser for sure. but future prospects would undoubtedly be better for the UK.....even if only because of saving that ridiculous £mult-billion annual tribute to the EU. And you say that after Japan has just signed a trade deal with Japan. It was absolutely stupid, ( and probably raised deliberately to have such an effect), to get Parliament to declare that 'a no-deal' is off the table'....whilst this motion is not a mandatory imposition on the government, it will certainly encourage, and enable the EU to play hard ball until well after the 11th hour. Others would say that the problem is the high number of Quitters. If the number of quitters were lower, the deal would have passed. I say *the* deal because there is no other deal, only unicorns. If the number of quitters were lower, the deal would have passed. I say *the* deal because there is no other deal, only unicorns. 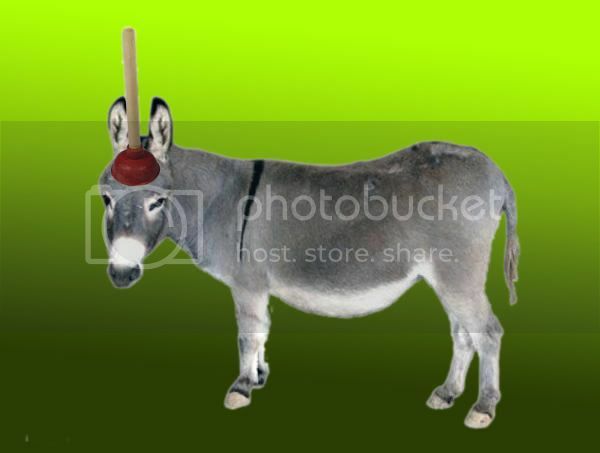 The problem being it may well be a donkey with plunger on it head. Did you enjoy your bread and water? Bread and water? What are you on about? Unlike many of my neighbours, I don't have a food problem. It was a joke, welcome back. It's also a lie that the UK has hired 20,000 extra civil servants. It has merely moved a few people sideways, which probably speaks more about the over staffing in the civil service. But it hasn't cost 20,000 new jobs. So, the government doesnt have any intention of allowing no deal, and its just all for show, so they have shifted a few people sideways to pretend there is even the slightest possibility of no deal? Because if it really happense, they will need a lot more,permanently. So, the government doesnt have any intention of allowing no deal, . Frankly in practical terms the point of no return has been reached and passed. In my opinion there will be a hard Brexit with no Customs Union and if I were an international smuggling gang leader I would be jumping for joy.